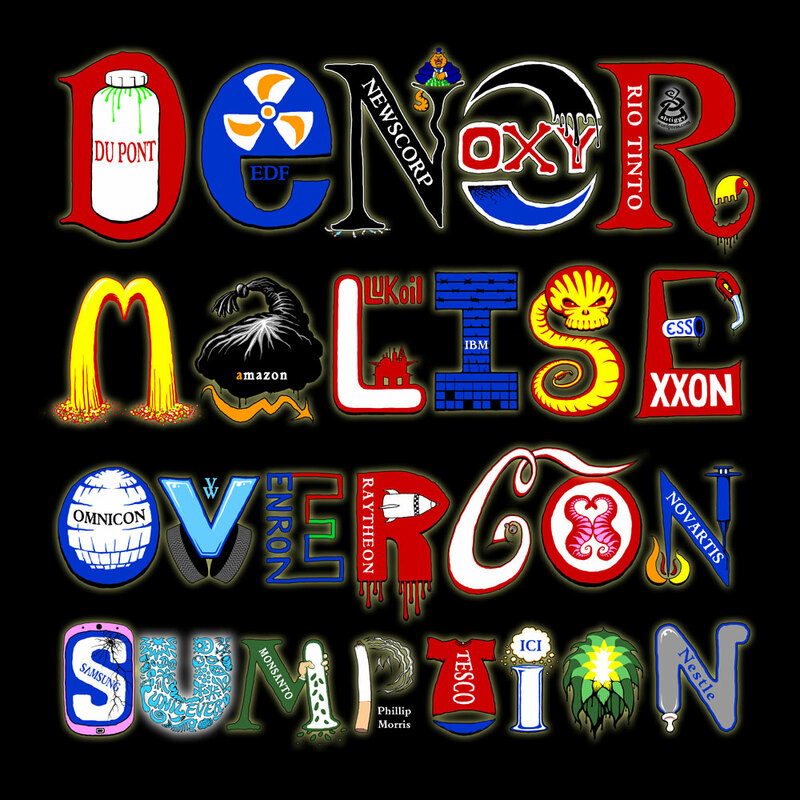 Redesign (from 2016) of the “De-normalise Over-consumption” graphic that parodies 26 logos of ‘leading’ corporations, just to see if it looks better on two lines not four. See the original below. Thanks to Steve for this suggestion. Poster from 2015 to mock some of the world’s largest corporations who are doing so much to destroy our planet. Most folks will know many of these logos. Omnicon are one of the largest advertising / public relations groups – who spend billions trying to persuade us to buy more and more stuff that we don’t really need. LukOil are one of Russia’s largest oil companies, and are involved in drilling in the arctic. Logo for the wonderful folks at Incredible Edible Oxford – who are putting permaculture into practise in and around Oxford. A stark graphic from 2014, poking fun at the operators of drones – or Unmanned Aerial Vehicles (UAVs). 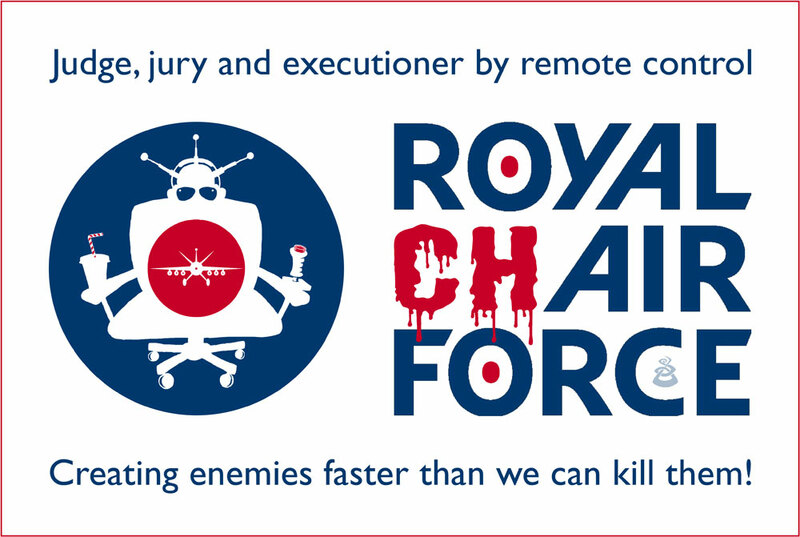 According to an excellent anti-drones campaigner from Texas who gave a talk in Oxford recently, the drone-operators are not considered ‘real soldiers’ by other members of the armed forces and have earned the nickname ‘Chair Force’ as they do not have to leave their seats to ‘engage the enemy’. The phrase “Creating enemies faster than we can kill them” also comes from the military – several leading military officers, both US and British, have publicly stated similar thoughts. For more information on Drones, and what we can do to stop them, please visit DroneWars UK and the Drones Campaign Network. Logo for the fabulous Pizza Midwife! I also made a banner / prop of this – with a prop stuffed crust! My pal Kirsten is a midwife and also a lecturer of midwifery at Oxford Brookes University. On some weekends she takes out her mobile pizza kitchen with a portable wood-fired pizza-oven that fits in the back of her car. The setup is simple yet cunningly original: visitors to her stall are invited to make their own pizza, from scratch, learning how to do it in the process. So the Pizza Midwife does not do it for you – you have to make and deliver your own pizza, with her professional support. Her stove is beautiful and wood-fired – hence the axe in the logo. The Pizza Midwife can be booked for festivals, community fayres and other outdoor events. 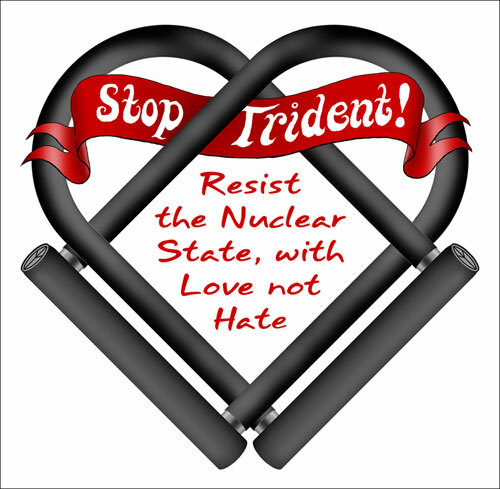 Stop Trident – D-locks of resistance – a logo for the courageous Action AWE group. 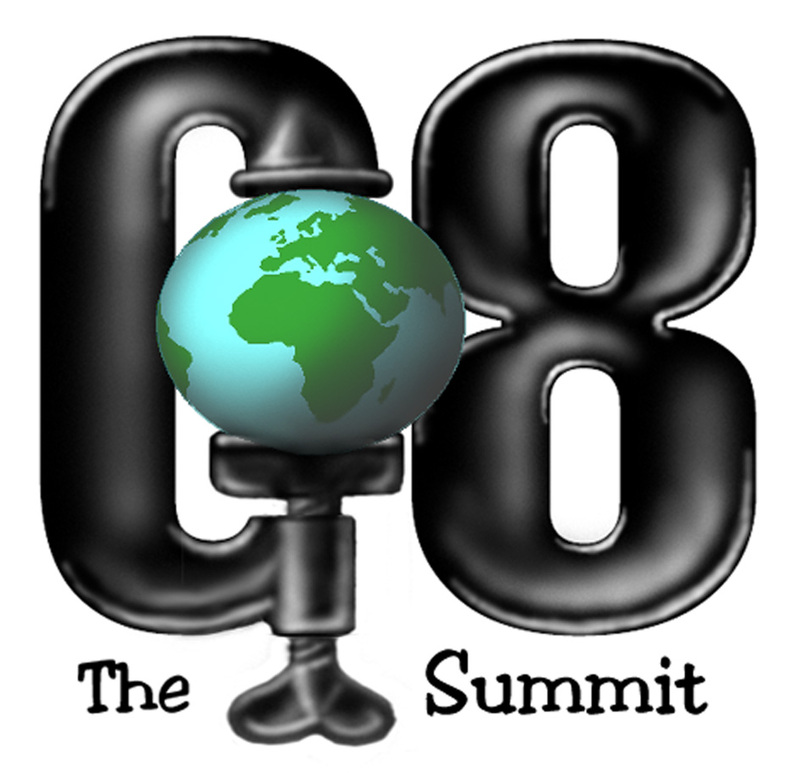 Logo for the 2013 campaign to try to stop a Kickstarter project that intends to distribute synthetic biology seeds (glowing plants) across the USA. This gimmick of a project is raising a lot of money and interest. The main problem is that no one knows what possible side effects these seeds may have. New technology needs to be monitored and assessed before it is released into the environment. History is full of industry-driven technologies that caused havoc before we realised (DDT, Pesticides, GM, Tobacco, etc). The precautionary principle is a wise idea – monitor, test and assess BEFORE release. Once a new chemical or life-form is released it might be impossible to contain it. The emerging science of Synthetic Biology has no regulations and no-one is really checking on it, even in the US. This campaign is run by ETC Group, a new-technologies watch-dog. Kickstarted refused to take responsibility, or even allow a debate, so the campaign is based at Indiegogo, an alternative website to Kickstarter. Please visit the campaign page and show your support. Logo and jam-jar label for my friend Deborah, who makes and sells amazing jams at the South Oxford Farmers and Community Market and Cafe. 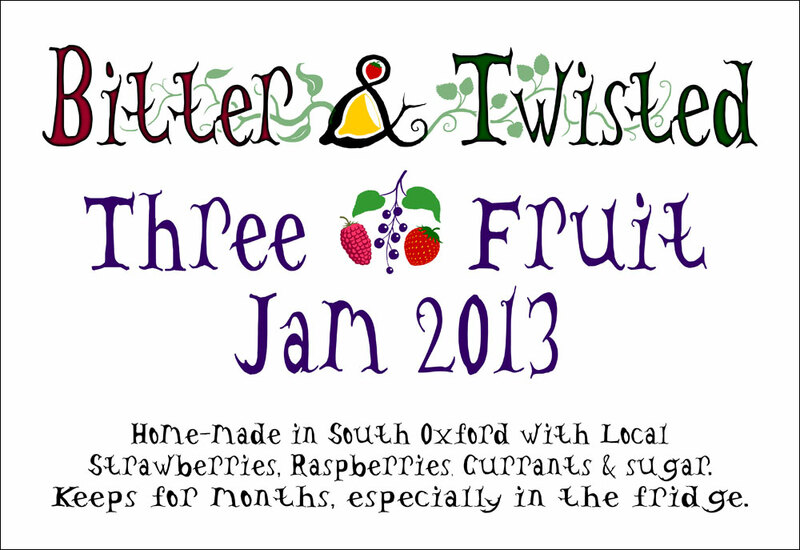 Logo for the wonderful South Oxford Farmers’ and Community Market and Cafe (SOFACOMAC) in 2012. The version on the right (with 4 small additions) was made in June 2013 as their ‘summer’ edition. Logo from 2012 for the Action AWE group who are campaigning against the Nuclear Weapons establishments in England (and Scotland). See their rapidly updated website for more information and many great photos and video of their many actions and campaigning. A cute logo for Low Carbon South Oxford (LCSO) from 2011 who do many green and useful projects in South Oxford. Most famously they help to maintain the wonderful Hogacre Common Ecopark, paying the college owners a jar of honey each year. Logo from 2010 for the Rhizome Cooperative, a training group who work with coops and charities across Britain. Here is one of my favourite logos, from 2009, for the no-longer-happening Transition Oxford (TO), that was part of the international Transition Towns movement. To me this simple logo is open to several interpretations, including the letters T and O, a seed sprouting a wide leaf, and a uni-cycle. Three logos from 2007 for some of the courses run by COIN (Oxford’s Climate Outreach & Information Network). A logo from 2004 for the ‘cog awards’ from the Captain Hook Awards for BioPiracy. The bar-code is often a good symbol of the corporate commodification of nature. I have gone on to make several new versions of this image over the years for all sorts of different projects including poets (fist holds pens and pencils) and hippies (fist holds flowers) and performers (fist holds microphone). 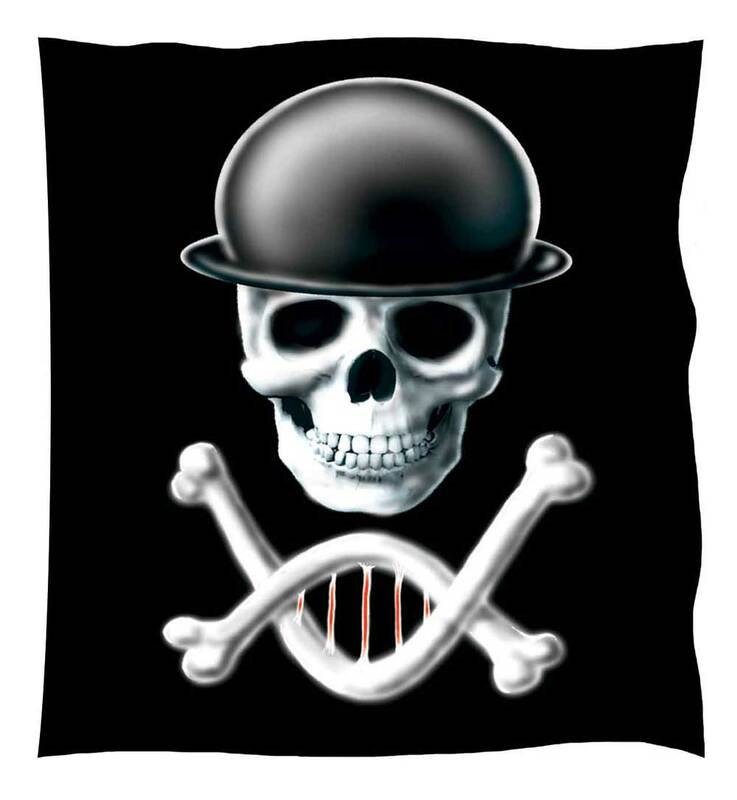 The ‘logo’ for biopiracy from 2004, from the Captain Hook Awards for BioPiracy. The curved bendy bones, with red sinews drawn between them, are supposed to mock the spiral of a DNA strand. 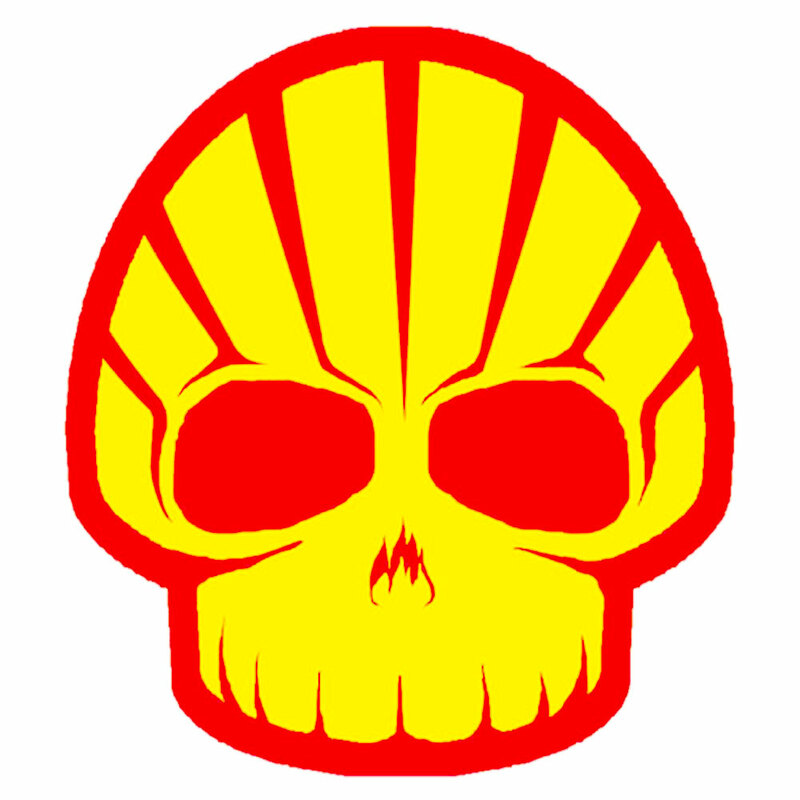 The whole logo is a spoof of the old piracy symbol of a skull and cross-bones. The bowler hat is to represent big business, although this is more like a symbol of the civil service in the UK. 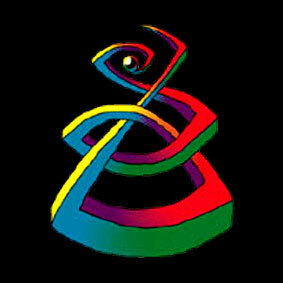 Logo from 2003 for Hammer and Tongue, Oxford’s promoters of Slam Poetry. Founded by Steve Larkin and Jim Thomas, this small outfit has grown and has ‘branches’ in Brighton, Cambridge, London and soon in a few other places. The small square flyer on the left was for their first real gig, in the small basement at the fabulous Brickworks pub on the Cowley Road. The logo on right was from 2007 when we discovered full-colour! Logo from around 2002 for the Oxford Cycle Workshop, the first workers coop to work with bikes in Oxford. They started small, fixing abandoned bikes and selling them cheaply. They grew and soon opened a small shop on Magdalene Road, and branched out into training courses, teaching bike-fixing to young offenders, bike-polo, bike scrabble and the infamous alley-cat cycle rides. Sadly the coop went out of business in 2011. There is a neat memorial blog here. Fortunately for Oxford, a new workers coop set up in 2012 providing similar services – the Broken Spoke Bike Coop who now have a great workshop on Pembroke Street in the heart of Oxford. A set of very useful logos from around 2001 that I still use a lot, telling the readers of my posters, leaflets and booklets that the paper used has some ‘ethical’ credentials. By the way, for a venue to be “Wheelchair accessible” it needs to have suitable ramps to get past steps, but it ALSO must have toilets that are wheelchair-friendly. I often accompany these logos to promote the printer (often Oxford GreenPrint, or Seacourt) and sometimes my own logo. Please bear in mind that using recycled paper for your publicity materials is just a small part of being ‘green’ or sustainable. Some inks use quite nasty chemicals (so choose vegetable inks where possible) and the printing process is often very energy intense and can produce nasty pollutants and emissions. If you want to use these logos, feel free. I can send you larger (print-quality) versions if you contact me via the form on the ABOUT page.